K&K Towing offers all the services you need to maintain your vehicle in one place. From towing to tires, we will get your vehicle up to par in no time. 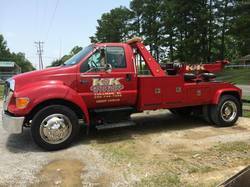 At K&K towing, it is our mission to take care of you and your vehicle in a courteous, professional and timely manner.